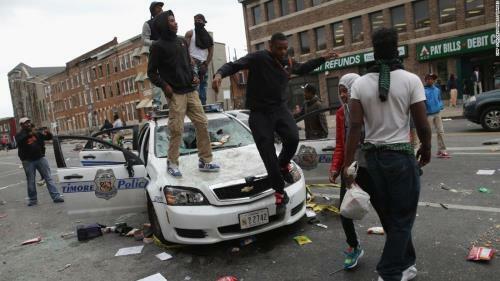 Baltimore, MD — After the funeral of an unarmed black man, the city of Baltimore exploded into riots. Police arrived prepared for war, and the National Guard was activated to quiet dissent. Rioters and protesters were losing hope that the establishment’s mistreatment of their fellow humans would ever stop. That chain of events happened this week over the brutal murder of Freddie Gray, but it has happened before — 47 years ago to the month. In April of 1968, the city of Baltimore broke out in riots following the government-sanctioned assassination of Martin Luther King, Jr. Then, as now, police responded with overwhelming force causing the riots to overshadow the population’s underlying demands for meaningful change. The 1968 MLK riots in Baltimore happened elsewhere around the country and followed uprisings in previous years. Before King was killed, riots erupted from Los Angeles to Detroit to Newark over deep, institutionalized racism and suffocating poverty. In all three of these cities, police action was the final tipping point that sparked popular aggression. Across the country, the state’s reaction was the same: send in the National Guard and use force to silence opposition. 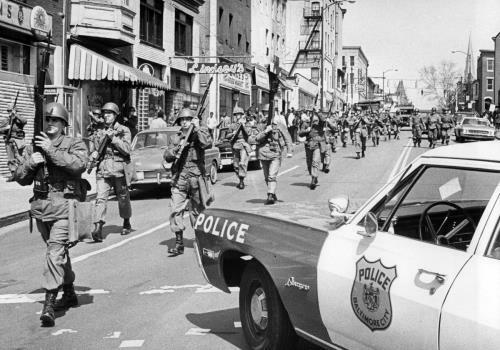 It was the Los Angeles riots that contributed to the creation of SWAT, a precursor to the heavily armed police that patrol America today. This week’s situation is a direct example of how the government’s violent tactics fail to create progress. The state assumed success in quieting the discord of 1968. [Congress instituted increased gun control, FBI training for cops (Section 404-a of the Omnibus Crime Control and Safe Streets Act of 1968), and the notorious, racist Drug War in 1970]. However, that discord was never resolved and, in fact, was exacerbated by worsening conditions for African Americans. At the same time, the government ignored the deeper problems of why people were so enraged: they were marginalized and brutalized. Every time the government uses force to crush disobedience, it attacks the symptoms and intentionally ignores the causes. After decades of this approach, it is clear the strategy has failed. Rather, it leads to an endless cycle of oppression and violence that will never be resolved by the government’s current strategy. For some reason, this surprises apologists for the state, who see no problem with police abusing, maiming, and killing citizens. In the case of Baltimore, local police have an excessively long history of violence and corruption with no accountability, so it should not be surprising that frustrated people are fighting back. 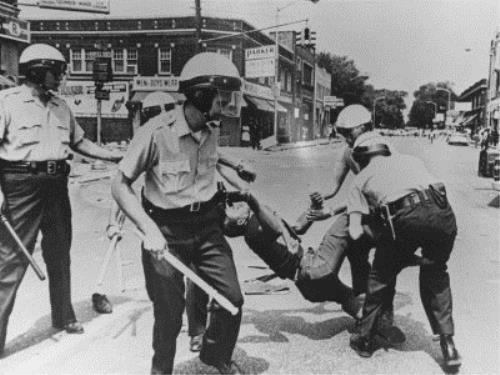 Now, as in 1968, the state continues to tolerate, enforce and rationalize crushing conditions that lead to the frustration throughout Baltimore. Its henchmen have yet to see that violence begets violence and oppression begets uprising. Its rulers have no problem with the overarching power and policies that have enabled the rise of the police state. In spite of the gross violations of freedom currently underway in Baltimore, however, history has the potential to change. That police are so heavily armed and eager to use aggression demonstrates how terrified they are of losing their power. From the ruling class of politicians and corporate puppet masters to the lowest police pawns, the entire establishment knows their unjust authority is increasingly unsustainable. They are desperately clinging to their violent control as accountability movements and scrutiny grow. In human history, no authoritarian government has ever maintained its rule. 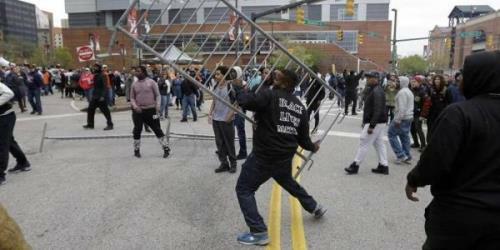 While the situation in Baltimore is dire, the continual protests and pressure currently exerted upon American police is a sign that their reign will, at least someday, come to a close. Only then, the government-inflicted cycle of violence may end.